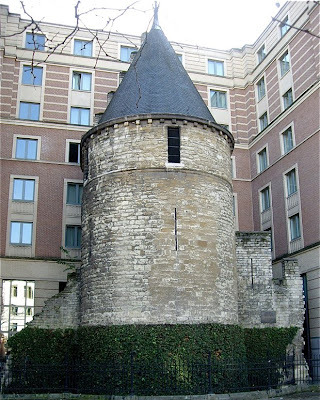 By Place Saint Catherine in Brussels, you find remains of the first fortifications of Brussels. Tour Noire dates back to the early 12th century. The Modern Novotel Tour Noire blends into the architectural development of Brussels, or rather the absence of one. Brussels is a mish-mash of old and new buildings in all styles. Some are, esthetically adjusted to each other, but the large majority clash completely. The area around Place Saint-Catherine is one of the best preserved areas, with older Flemish style houses. Just around the corner, however, by the opera house, you find areas that are plainly hideous. 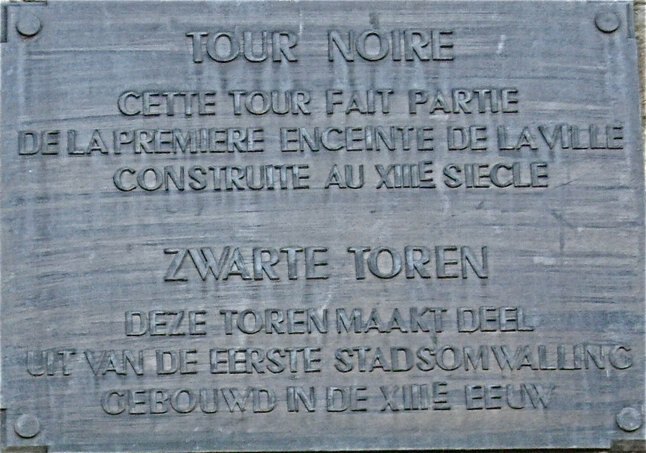 And between these "zones" suddenly you stand in front of Tour Noire, incorporated into a modern building belonging to the international Novotel chain. 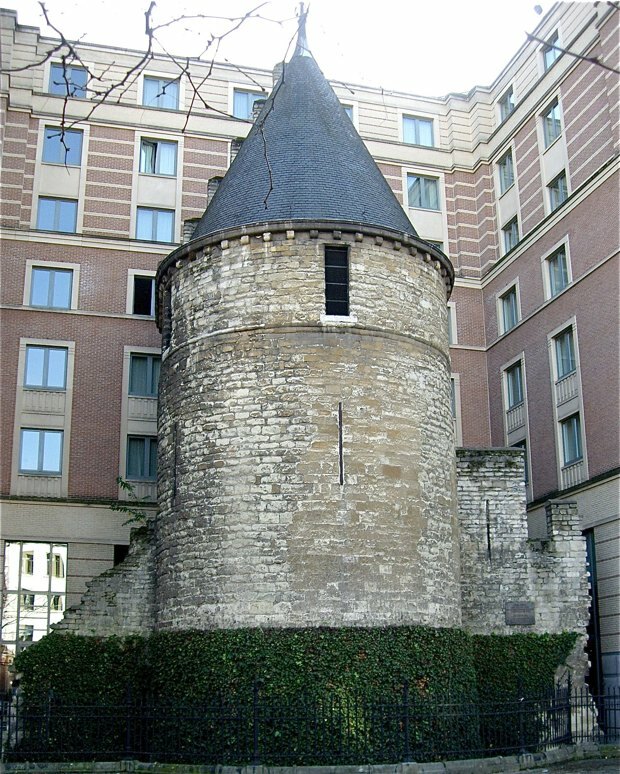 Tour Noire belonged to the first walls of Brussels, a series of fortifications erected around the city in the early 13th century. As the city quickly grew them, a second, larger set of walls was built to better enclose and defend the city. The Tour Noire belongs to these fortifications that were dismantled between the 16th to 18th centuries. The tower belongs to isolated portions of the first walls that can still be seen today. Others can bee seen in Rue de Villers, where you can see the Tour Saint Jacques. 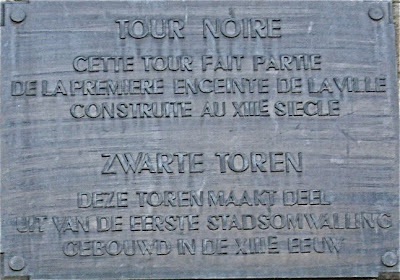 The existence of Tour Noire exemplifies what fascinates me of Brussels. This city never seize to surprise me, as there are unexpected to see around the next corner.